Material: nylon Size: 3#, 4#,5#, 7#,8# 10# and so on Can be made according to customer's samples and designs. Suitable for garments, handbags and shoes, tent and bed sheet Colors for nylon zippers and sliders design could be selected Depend on customer's requirement High quality, best price and the best service Open-end, close-end and two-way types available. Short on time? 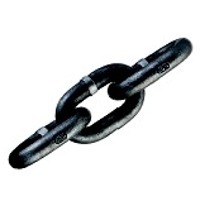 Let zipper-chains sellers contact you. Material: nylon 1. Size: 3#, 4#,5#, 7#,8# 10# and so on 2. Can be made according to customer's samples and designs. 3. Suitable for garments, handbags and shoes, tent and bed sheet 4. Colors for nylon zippers and sliders design could be selected Depend on customer's requirement 5. Open-end, close-end and two-way types available 6. High quality, best price and the best service Zhejiang haoshunzipper Co.,Ltd in located in the famous zipper town of Yiwu,Zhejiang, China. Established in 1988, with over 20 yearsí» experience in manufacturing accessories of garment, bags, cases and shoes. We supply finished / semi-finished nylon zipper, plastic zipper and metal zipper as well as sliders with high quality, competitive price and reliable service. As ZYY standard for No5, No 7, No 8 zipper chain , 200 yards/200meters per pack, 10packs per poly woven bag; for No 3, No 4, 400 yards/400 meters per pack ,10 packs per poly woven bag, for No10, 100 yards/100 meters per pack , 10packs per poly woven bag. Or with carton packing.